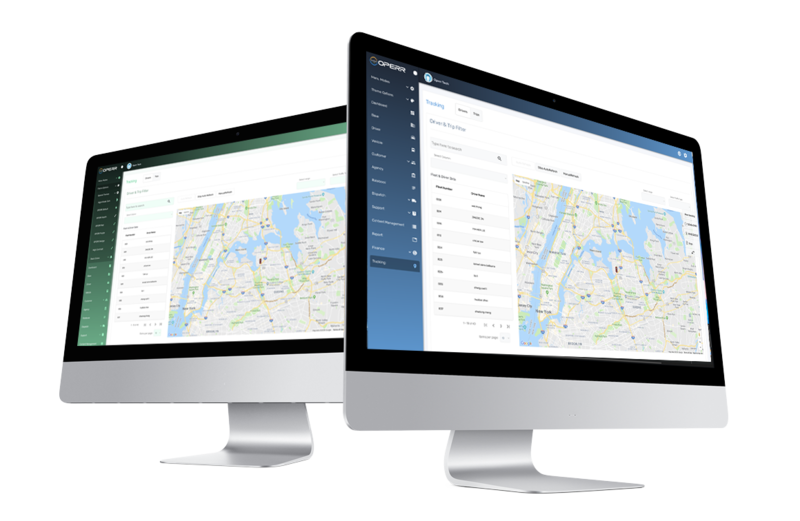 The OPERR® software system is comprised of a series of innovative mobile & web-based software applications, which together form a new platform for riders and transportation companies. OPERR® is designed to increase both base & driver operational efficiency, boosting performance, customer retention and profitability. The OPERR® Platform provides taxi, car service, non-emergency medical transportation or any paratransit business a complete cloud-based platform to process trip bookings from various sources, dispatch vehicles, manage their fleet and bill their accounts. All these powerful features were designed with regulatory compliance in mind. The OPERR® Platform's web-portal is the central access point of the platform. All user types, such as drivers, customers, administrators and others, can access their accounts and related modules through this OPERR® web-portal. Access to all modules or areas with sensitive data allowed to be accessed, are fully customizable. The OPERR® cloud-based platform does not require on-site hardware and can be accessed from anywhere in the world using most smart devices or desktop computers in order to access the user account dashboards. Our groundbreaking cloud-based dispatching module can be found within the platform's web portal. Dispatchers can quickly dispatch trips for many trip booking types. The system supports trip orders processed by phone, mobile app, your personalized business website or via the brokered trips model. Allows processing and assignment of thousands of trips to hundreds of drivers within minutes. The module can also help reduce the workload on your operations by automatically pre-scheduling trip bookings and can help decrease the overall cost of having live on-site dispatchers and telephone operators. Our automated billing module utilizes advanced technology to substantially reduce the loss from costly errors incurred during the billing process. The OPERR® Billing module also reduces staff workload and helps increase their accuracy, by automatically compiling billing documents, records and trip history. Edit driver and customer profiles, vehicles, group accounts and everything operations related. Get alerts for changes to Drivers’ Licenses, Vehicle Registration and Insurance Expirations, Monthly TLC Reports. OPERR® provides regulatory compliance for bases to avoid penalties or improper dispatching. OPERR® Automated Billing module utilizes advanced software algorithms to substantially reduce losses from costly errors incurred during the billing process. Look-Back Billing is provided as a platform module or as a separate service by OPERR® Service Bureau (a fully licensed OPERR subsidiary). OPERR® Tel automates call management and creates automated menus for your incoming callers. 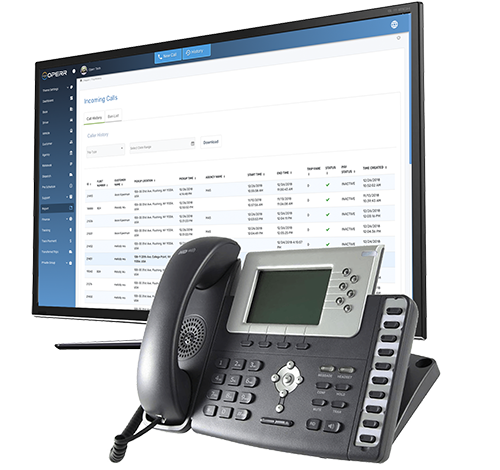 Intergrated into the OPERR® Platform, it is easy to navigate and lets you easily customize touch-tone phone menus with ease and can interface with your existing office telephone system. OPERR® allows for differentiation between user roles during the login process. Account types can be set for any user, such as dispatcher, administrator, group admin, driver and even a customer who uses the OPERR® app to book trips, can all use the web-portal to gain access to their account information. OPERR® can log the actions of all the dispatchers on the system. This means that human error can now be tracked down to a specific user on the system. This is shown for the base administrators, along with what actions specifically were erroneously taken to cause the issue at hand you're trying to rectify. The NEW OPERR® platform, has been re-designed from the ground up to be a more fluid and a much easier to use system. OPERR® 3 is customizable, complete with an integrated library of color themes and layout options, changing positioning and more. We even included a 'Night Mode', which is a completely dark interface theme. Operr Service Bureau (OSB) is licensed by the New York State Department of Health to provide our billing services (ID#05191346) to third parties, such as any type of NEMT or other transportation businesses. Utilizing our advanced technology, OSB can not only provide billing services for your current billing period but also "look-back" through previous billing data for invoice errors or underpayments that have cost you money. OSB will help identify and recover the overlooked billing funds. The following are ACTUAL figures of some recent client recoveries. Numerous examples available on request, contact us today. We find your business recoverable funds or the look-back service is free. Why lose your hard-earned money forever? Try our "Look-Back" service and get at least a portion of your lost money back. Plus, if we don't find anything, you don't pay anything. Your money, your choice! The OPERRTel® phone system enables your business to upgrade its existing network of business phones into an advanced digital switchboard. Our digital phone system algorithms can be layered over your existing setup. It will constantly monitor for incoming calls and intelligently answer, classify and automatically route the call to the help they are seeking. The configuration of all phone system components is fully customizable, allowing you to configure the most optimal setup for your particular business. OPERR Tel® automatically locates database info for the incoming caller, so it is at the ready for the customer service representative. The system will figure where to route the incoming caller automatically based on whatever variable you want use. The control is in your hands with this powerful OPERR Tel® system. Our automated phone system allows for admins to set up advanced, multi-level, telephone menus that will help businesses classify incoming call types and the appropriate department to route them to. Create advanced, professional telephone prompts to assist callers in getting the help they seek. OPERRTel® provides full, unlimited multi-line voicemail features. The system is also built to log all calls on an enterprise level, meaning the OPERRTel® system is able to handle thousands of calls simultaneously. Other options such as call recording and monitoring can be configured with the system as well. 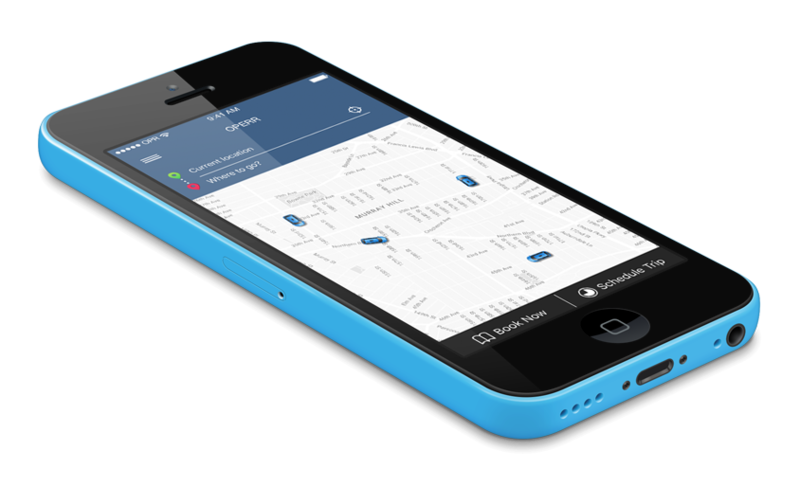 The OPERR® mobile apps are simple to use and require minimal effort to book rides or accept jobs as a driver. There are two mobile applications that are part of the OPERR Platform. One is the customer app, which is used by riders to book and pay for trips. The other is a driver's version of the mobile app, which allows drivers that are part of an OPERR® enabled base, to work trip bookings coming from the customer app or from other sources (such as cash-calls to their base or bookings from their OPERR® enabled website). OPERR® provides legal compliance for bases to avoid penalties and fines for improper or illegal dispatching. Get alerts, information and manage drivers and vehicles, Base Changes, Changes to Drivers’ Licenses, Vehicle Registration and Insurance Expirations, Monthly TLC Reports. The OPERR® platform order flow is simple on the surface. The diagram above shows all the possible routes in which a trip booking moves through the platform. The customer has three types of trip booking methods. The first is done through a broker (NEMT). The other options are more traditional using phone and internet. The order then enters the OPERR® servers where it is first logged and used for cross referencing its' details with the OPERR® Platform modules' various databases. Once identified and logged, it then communicates this data with all of the modules, cross-checking and simultaneously creating regulatory compliant documentation. Before scheduling the trip, the data is validated to ensure the order is indeed valid and that the driver or vehicle assigned to the trip meets regulatory compliance requirements. The final trip data is then distributed to the proper OPERR channels (dispatchers, billing, drivers, etc.) and partner entities, which in the case of NEMT are trip brokers and regulators. The OPERR® ride booking app can be downloaded and used on both Apple's iOS and Google's Android operating systems. Simply click the button below for your version. *To download for iPhone you must have account with Apple's app store. 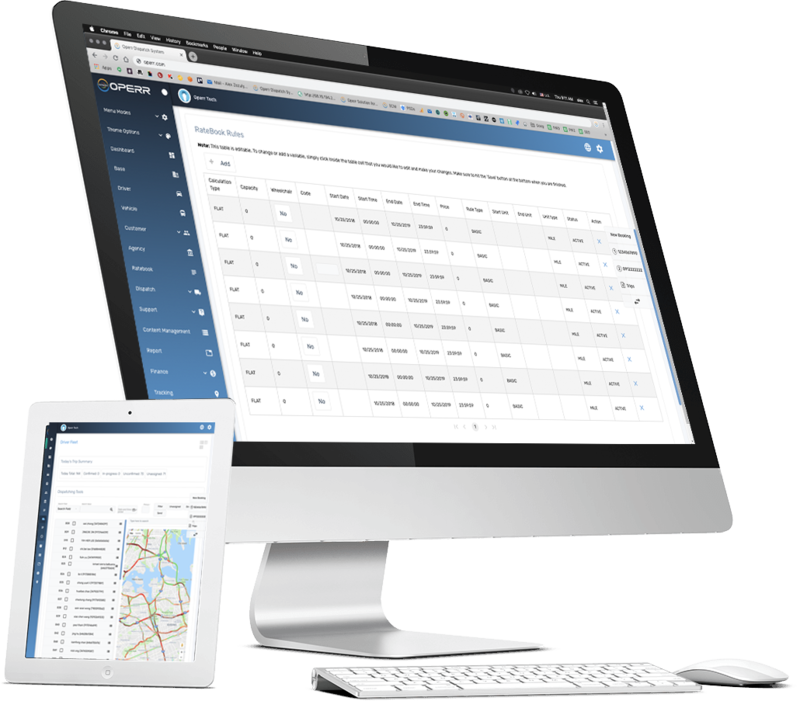 OPERR® is a Transportation Business Management Platform with Integrated Booking & Dispatching Features. Perfect for any car service, limo company or NEMT Service Provider. © Copyright 2019 - OPERR Technologies, Inc. All Rights Reserved.